This is a command that just works on any Linux system. 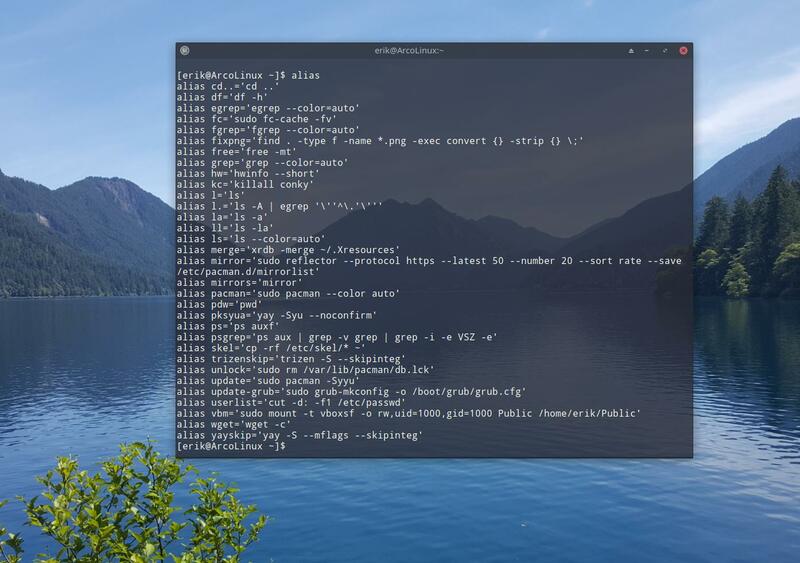 Type in the terminal the command alias and you will get the list of all possible aliases on that system. Making a new one is super easy. For example when you type inxi you get just 3 lines of information. If you type inxi -b you get a lot more. and add it to the .bashrc. Bashrc will be read each time you login and the aliases will be applied. In this video you will see the 5 new aliases in action.